Your to-do list to establish your Will may sound like a lot of work. Steps don’t need to be rushed, be sure to cover all of the bases. Real estate–include the address and the way the property is listed on your deed. Cash, savings, checking, brokerage accounts–include the account name, account number and financial institution that holds the account. Personal property–vehicles, family heirlooms, jewelry, collectibles. Your beneficiaries will one day inherit the assets in your will. Beneficiaries can be family members, friends, charities–the designations are up to you. Decide who will receive what. Every asset you own needs a beneficiary designation. If you own your business, you will designate who will take over upon your death. There are many ways to split up property among your heirs. Discuss all of the options with your attorney to choose what’s right for you. 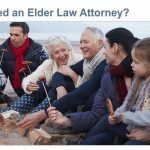 Your executor will take charge of your estate after you die. During the probate phase your executor will be your estate’s point of contact with the probate court. Discuss your options with your attorney, then identify your top choices. Once you’ve decided, discuss your choice with your executor—review the responsibilities with them. Your executor will take charge of liquidating any assets per your will’s instructions–so that they can be converted into cash for distribution to heirs. 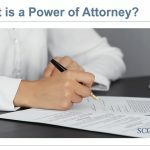 Your attorney will draw up the will, you’ll be presented with a draft to review and sign. You and independent witnesses will sign the will. Valid witnesses are those who are not named in the will and have no interest in your estate. Beneficiaries can be assigned to certain assets—this can happen outside of the will’s process. 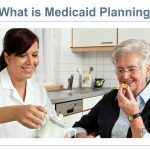 Insurance policies, IRAs, 401Ks, for example, can have beneficiaries assigned. Be sure to update your beneficiaries on all possible financial instruments to make your wishes known. Many of these assets won’t have to go through probate, since you’ve already assigned beneficiaries to them. Without beneficiaries on file, these assets will be held up in probate. Keep a few copies of your will on hand. Provide a copy of your will to others, as needed. Keep your Living Will handy. When traveling out of town, for example, take a copy with you in the event of an emergency. Beneficiaries may change, based upon your wishes or other circumstances, so update your will accordingly. Update your assets list as needed, but be sure to send a copy to your executor once each year. 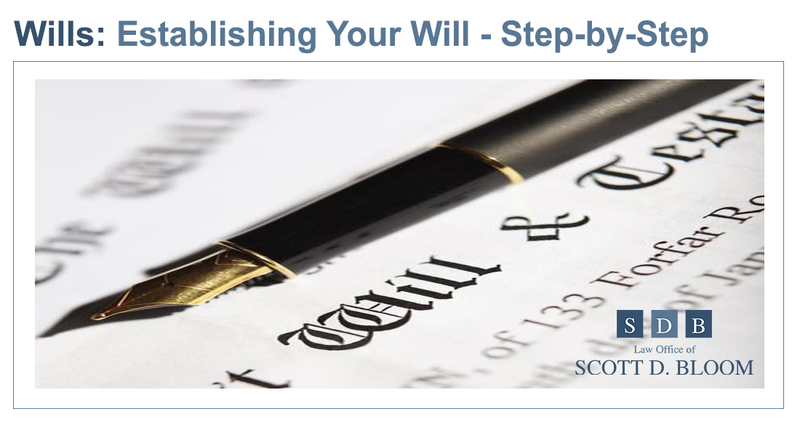 Contact Scott D. Bloom law for more information on how a Will can be a part of your estate planning. Dear Scott - Thank you for a job well done. I've settled the estate with my siblings. I also remitted my executor's fee to the children of my deceased sister. Thanks again for all you do!